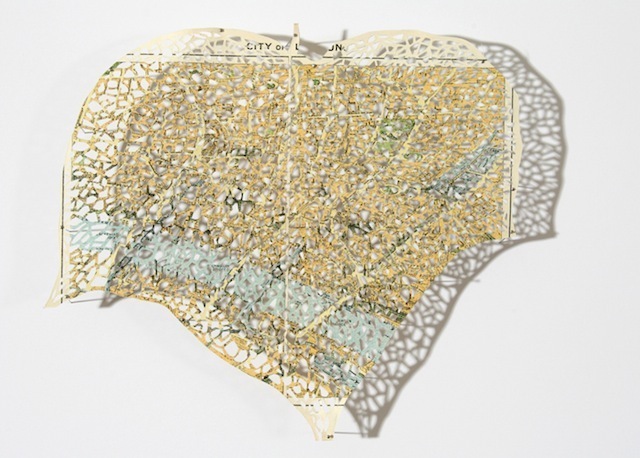 Claire Brewster uses old maps, atlases and other found paper to create beautiful, delicate and intricate paper cuts of flowers, birds and insects. She has been living and working in London for over 20 years, but started life in the semi-rural county of Lincolnshire. 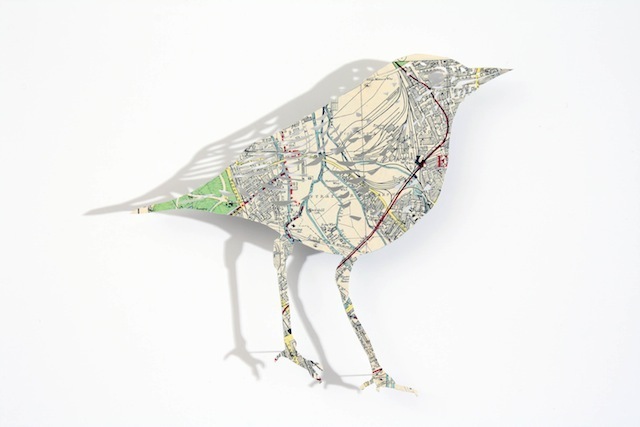 She says, "my inspiration comes from nature and the urban environment in which I live and a desire to re-use the discarded, unwanted and obsolete." 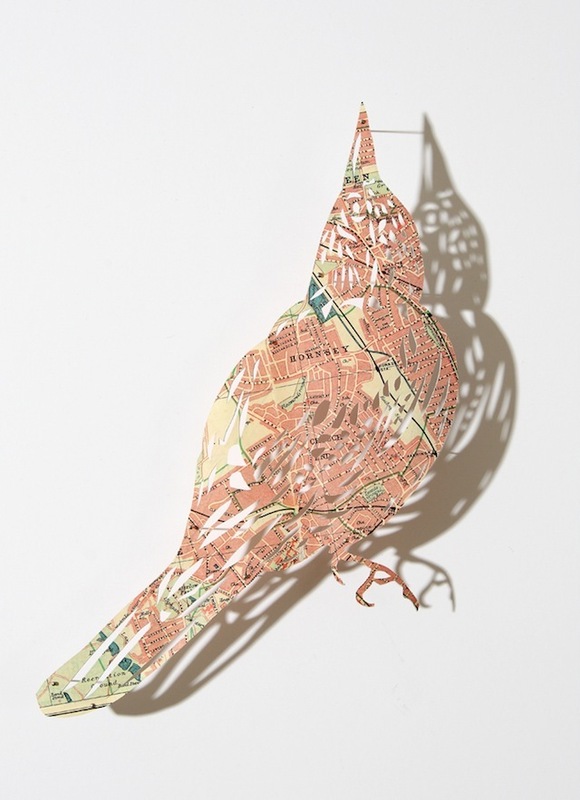 We love these feather-light, fine creations, especially the birds emerging from the vintage maps. 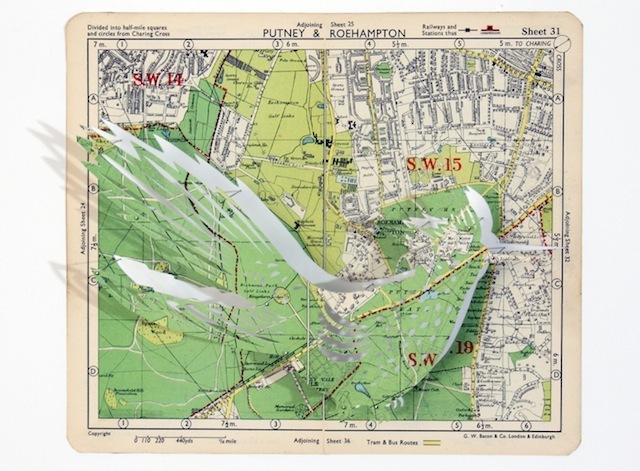 Claire exhibits her work regularly with TAG Fine Arts and Flow Gallery in London. 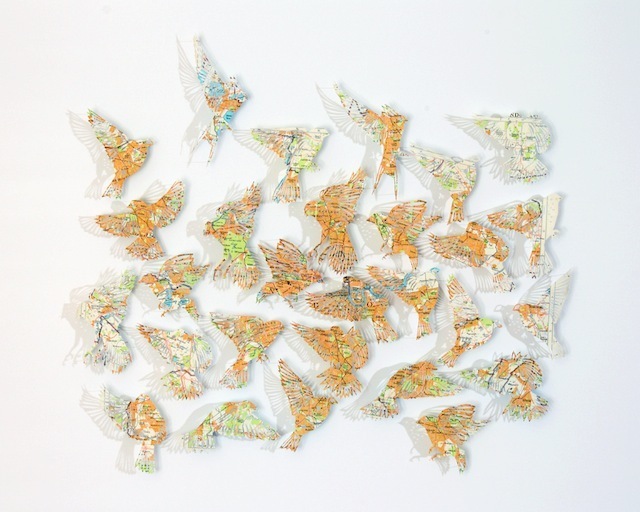 Find out about exhibitions and how to buy and see more of her lovely work at www.clairebrewster.co.uk or have a look at her blog. 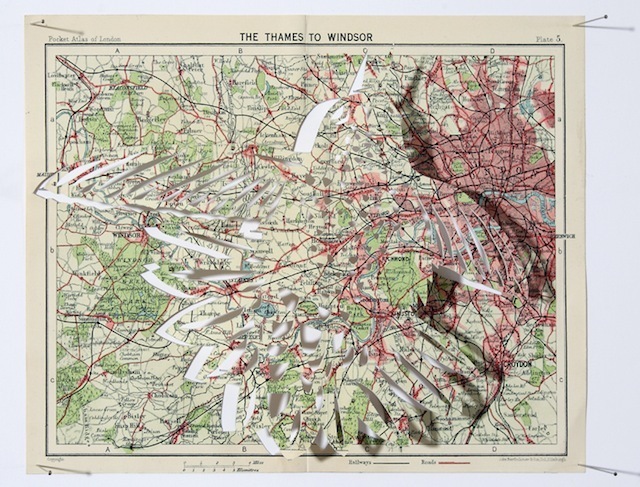 Browse more London Artists. Want to nominate a London based, London influenced artist for us to feature? Get in touch hello@londonist.com.